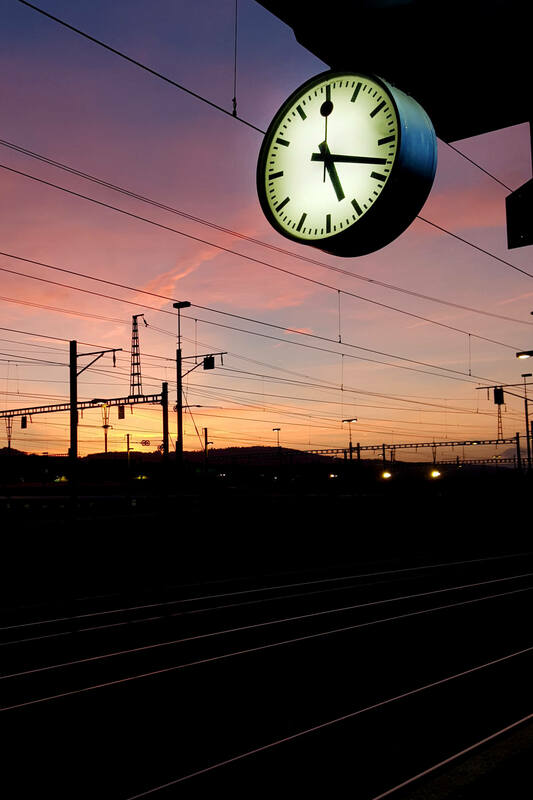 Whether you are about to depart on a Chinese high-speed train or a Swiss panoramic train: both scenarios have the ubiquitous station clock in common. It is a universal aspect for transport hubs the world over. Non-stop? 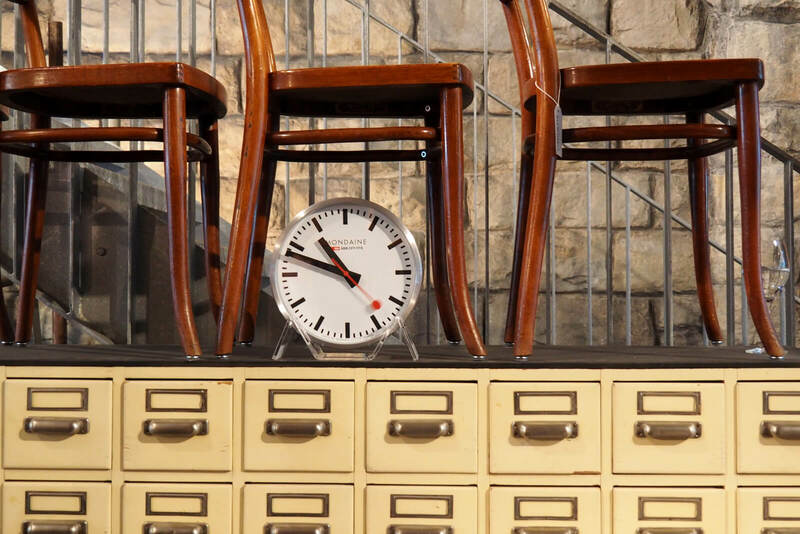 The Swiss railway clock, a Hans Hilfiker masterpiece, sounds its whistle, taking exception. Surely you have noticed that the official Swiss Railway clock is unique. Exactly 1.5 seconds before a new minute is heralded, the second hand comes to a stop. To some, it does appear you can stop time. Back in 1944, Hans Hilfiker was part of the Swiss Railways. 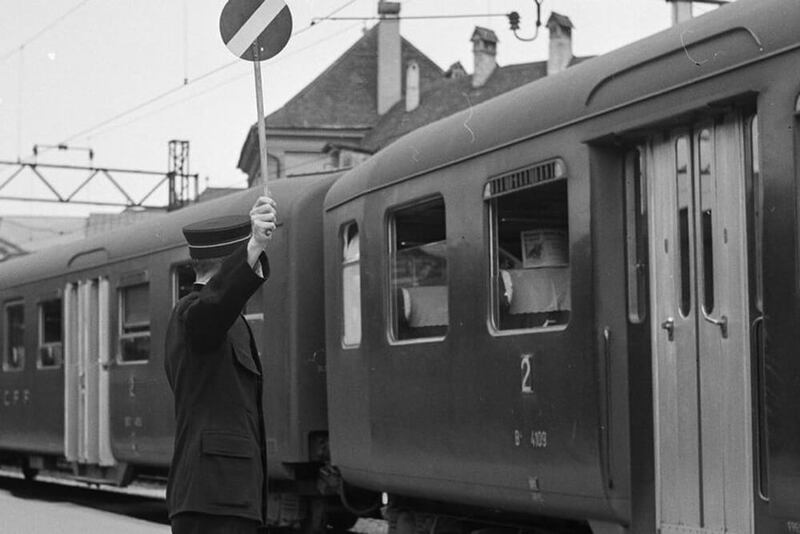 The inventor wanted to ensure that Swiss trains run with that world-famous punctuality Switzerland is known for. Yet there was one issue: in spite of the heavy focus on being on time, trains and dispatch did not quite work by the second. Instead, trains left every minute. 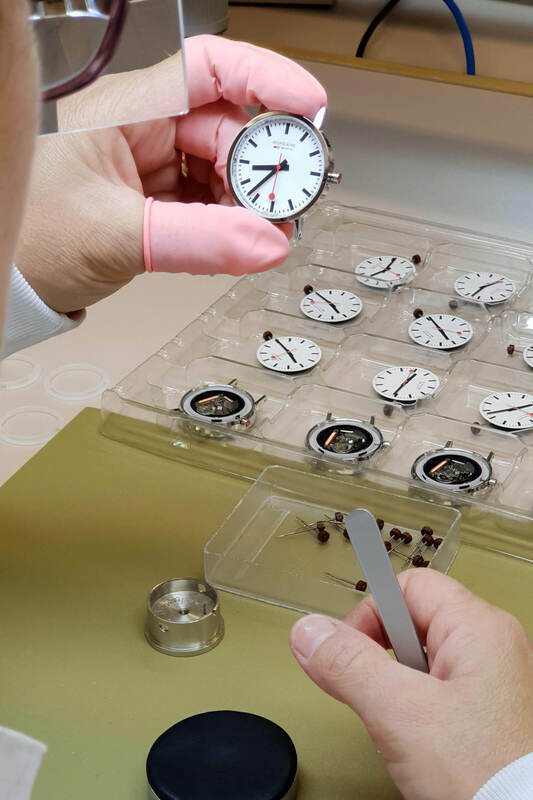 Hilfiker's job: to synchronize all the station clocks on the nationwide Swiss network. And to ensure that all trains left dead on time, right at the start of a new minute. 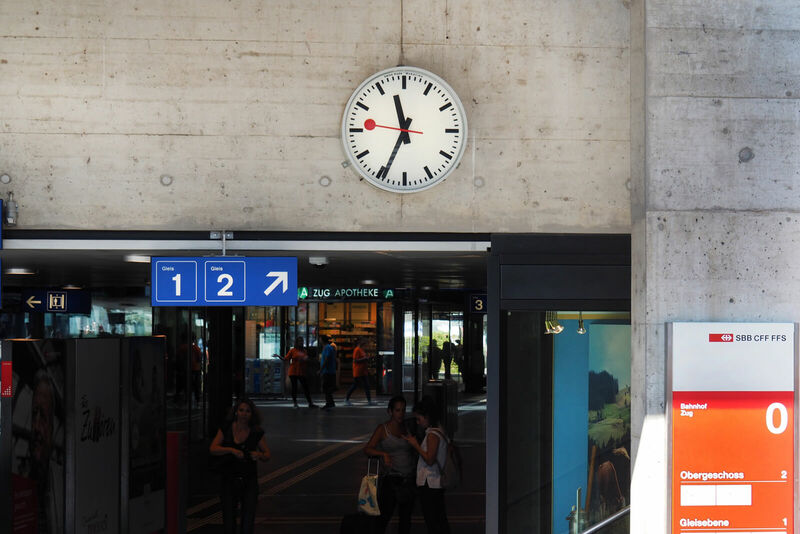 A central clock would send out a "minute" impulse signal to every single station clock in Switzerland. Upon reaching the clock, the impulse would release the second digit in order to "start" a new minute. For this scheme to pan out, the second digit had to travel the distance of one minute in just 58.5 seconds, then wait two heartbeats for the synchronized impulse signal. Over the decades, technical improvements made the 1.5 second stop no longer strictly required. However, traditions die hard in Switzerland. These days, the Hilfiker station clocks still faithfully run with that "two-heartbeat stop" at the end of a minute cycle. 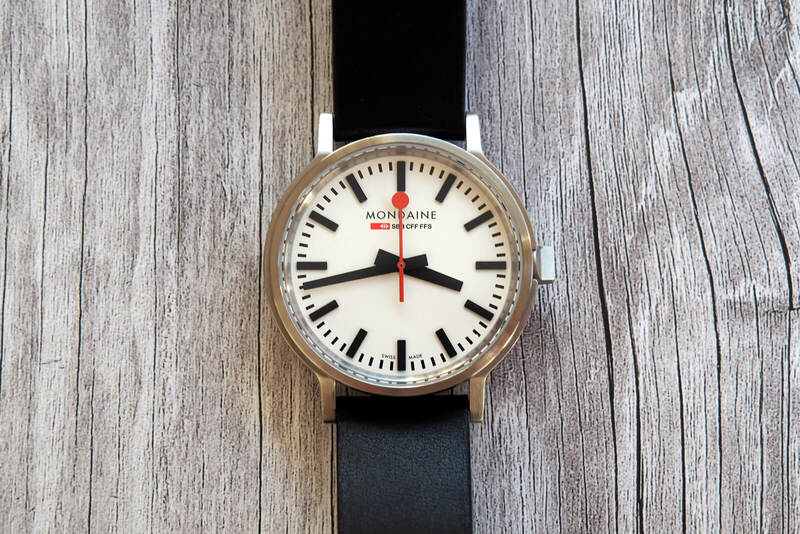 Even better: Mondaine which owns the copyrights on the design of the clock has released a wristwatch version of the Swiss station clock, including a "two-heartbeat stop" function. The design of the Mondaine station clock remains a Swiss masterpiece. This Stop2Go version even has the 1.5 second stop at the top of the minute! Or how about a wall clock of this iconic design piece? I have typed this entire homage at a railway station while waiting for a connection. My train to Hong Kong has just left the station 41 seconds ahead of time. While never running late is a true Swiss virtue, I would like to see my next departure dead on time. Hilfiker style. Swiss railway clock style.